1. Focus on your headline. By choosing a great headline (meaning it is attention grabbing but also contains keywords) you optimize your web page and search engines will rank it higher or more relevant for searches. By bolding and increasing the size of your headline, you help search engines know it is the most important thing on the page. Use this same tactic for sub-headers and within your text. 2. Stay simple with your URL. The format of the URL is important in indexing your pages. If you can customize your URL (usually it is free to do) make sure it is to the point and also includes keywords relevant to the page topic. 3. Use ALT tags on images. By including more information about the content on your page, your website becomes more appealing to search engines. Make sure you are using keywords here too! 4. Have we said keywords yet? Include keywords in your title tags and meta description as well. The max characters for your page is 75 characters so make sure to choose keywords the fit best with the content of your page. 5. Take advantage of internal linking. Reference some of your other pages to help boost your SEO and encourage your readers to view other pages of your site. 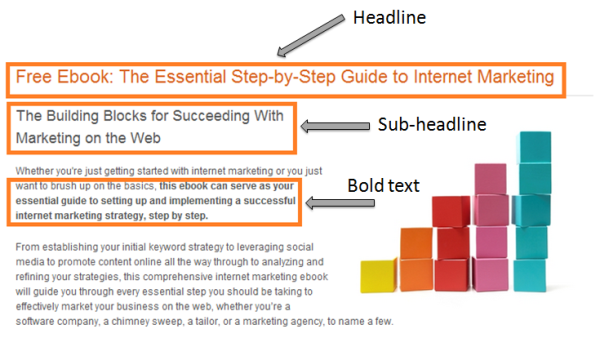 Follow these simple steps and you will start seeing result for your on-page SEO ranking. Click here to read more!